Remind Mi Calendar is a simple yet incredibly powerful and versatile program that can be used to set reminders and schedule tasks. Add and schedule tasks to support your goals. See how much time spent on Tasks. Know whether you've worked hard enough on goals. AT Command is an old DOS external command (not included in command) which enables users to schedule tasks on local/remote computer. 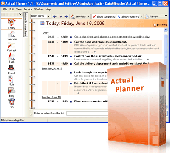 AT Command is an old DOS external command (not included in command) which enables users to Schedule Tasks on local/remote computer. You can use the AT command to Schedule a command, a script, or a program to run at a specified date and time. You can also use this command to view existing scheduled Tasks (Only AT Tasks). FTPGetter 3 Professional lets users automate FTP and SFTP transfers. Instead of manually relocating and getting to the files, workers can set up tasks and schedule them to be done automatically. Thanks to the wizards this process is easy.